oh, hello friend: you are loved. : We're almost ready.. Sorry I've been mia the past couple days. I'm stressing out a little now that we've set a an opening date! We're officially opening our shop on Saturday February 2, 2013. If you're in the Southern California area, we'd love for you to join us at our grand opening! We're giving away some pretty cool swag-bags for the first 100 customers, we'll be having giveaways and a DIY station along with desserts! Please RSVP to let us know you're coming and to make sure we have enough desserts and DIY supplies :) We're in Downtown Fullerton - our shop is on Harbor, in between Commonwealth and Amerige! There's a parking lot behind our building and plenty of parking in the Downtown Fullerton area. 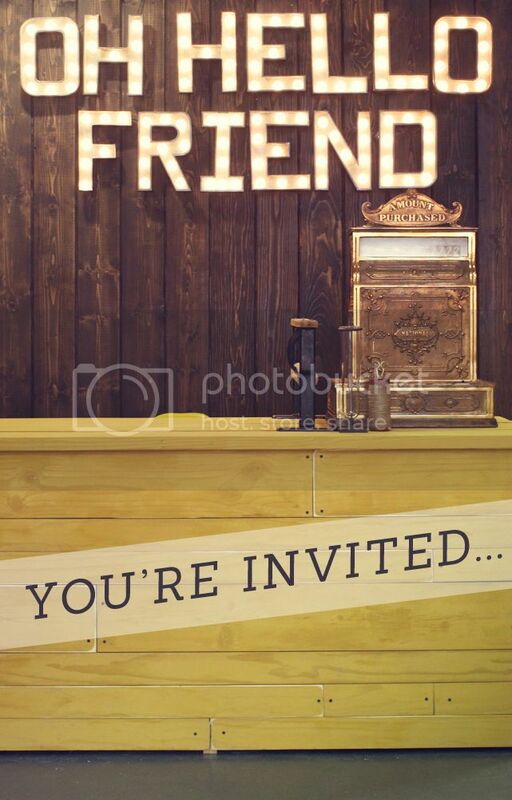 oh, hello friend grand opening! This year actually marks the 5th year anniversary of oh, hello friend. 5 years ago I started this blog and business at my day-job. Thanks for sharing in this special time with us! If you've read the blog for a while, you know I've gone back and fourth with the idea of a shop. Can't believe it's really happening, seems unreal. Hope you can join us friends! i'm super sad that i can't make it to the grand opening though. i'm doing the color run in LA so i won't be back in time otherwise i'd totally be there. i'll have to stop by another time. Congrats on the shop! I'd love to see it in person, but I'm on the other side of the country. I can't wait to see pics on the blog. Congratulations! :D That's so exciting. Super exciting! Wish I lived in the area for fun things like this. Oh my gosh! I'm so excited for you!!! Prayers that all will go smoothly. congrats on such an amazing accomplishment! i can't wait to see your vision in person! CONGRATULATIONS! i hope everything goes as planned and even better! Relax and enjoy the process! So exciting! I can't wait to see all the awesome pictures! Congratulations and blessing on the shop! I can't wait to visit when I am back in town! I am so excited to see what goodies you have in "store" for us. I have RSVPd for your opening. I hope it is a nice day. I would love to ride my bike up to the shop. OH MY FRIGGIN' GOODNESS THIS SO EXCITING! SO EXCITED FOR YOU THAT I'M WRITING IN ALL CAPS. CONGRATS SWEET FRIEND ON THIS AMAZING ACCOMPLISHMENT. DOING A DANCE FOR YOU AND THE UPCOMING GRAND OPENING CELEBRATION. HAPPY 5 YEAR OHF BLOG AND SHOP!!!! exciting! wish I didn't live across the country! I hope you'll post a virtual "tour" of your shop for us all to see. And I'm DYING to see the tutorial for your lighted sign. I will certainly stop by the next time I'm home visiting the family! Shared this post on FB with my Fullerton friends, best of luck to you both with the opening! so excited for you to finally be opening your own shop, hope it goes really well at your grand opening! Congratulations on being able to open a shop! I absolutely love your blog and cannot wait to see what you have in store for us :) I love the vintage feel, btw! How exciting I can't wait to stop by and check it out!! Congratulations from far across the sea! :) May your store be full of prosperity and wealth :) I hope to visit your store if ever possible! Good luck with your grand opening, it sounds super fun. Wish I could make it. GAW DANNI!!! So so so so so SO excited for you!!! I may try to swing on by. By "swing" I mean make a day trip out there! Congrats!!! Good luck and have fun at your grand opening! I will have to visit your shop whenever I'm down in Southern Cali. If I had lots of money, I would totally fly over to America for this. Alas, I do not but I wish you all the luck with your new venture. eek! I am so excited. after meeting you at Renegade and then coming to one of your sales at the unit, this is going to be epic! Going to come to the shop as soon as I can! Congrats, you've earned it! Aw, this is wonderful news! I've been following your blog for a while and love love your style. You're store is sure to be fantastic. Best of luck! Congratulations and here’s wishing you all the very best for the future. This sounds so exciting, I am sure it’s going to be a great success. Wish I could have come for the opening but I am away right now, although looking forward to seeing the pictures. Will check out soon when I’m back in town. Congratulations on your shop Danni! It has been incredible to watch this grow from a simple idea into a reality. You are an inspiration to all of us, proving that you can accomplish something you set your mind to, even if it seems like a distant dream. I wish I wasn't all the way on the east coast so that I could stop by for your opening. I wish you all the best in this new adventure! How fun and exciting! I can't wait to visit. Btw, you know my sister Steph Hsu and I met you briefly at a Patchworks craft fair with my daughter last year. Congrats!!! Wow! Very exciting! Your website and products are so very lovely. I'm sure your shop is going to be amazing! Congratulations and the very best to you. What fun to see your pictures as you progress through the set up! I'm out of town this weekend and so bummed to miss it - but I will make a trip down to Fullerton to check it out when you guys are open. Congrats! I am so glad I saw @fourflights tweet last night and heard about your shop! I am always envious of cute shops being in LA but now there's one close to me!!! Wish I could make it to get a swag bag!!! Congratulations on your opening, I'll be by soon! I hope your opening goes smoothly! this is exciting! In this year there are a lot of businesses that are opening physical locations that were started out as websites. We are thinking about it here at www.jrsmedical.com as well. There is actually a really great article talking about stores opening all over some dont even have inventory. ie Tesco having entire supermarkets on the subway system via qr codes.I hope you do well my friend!